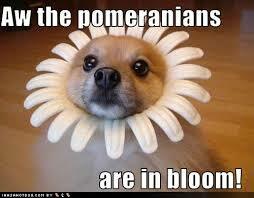 Poms are intelligent but stubborn. 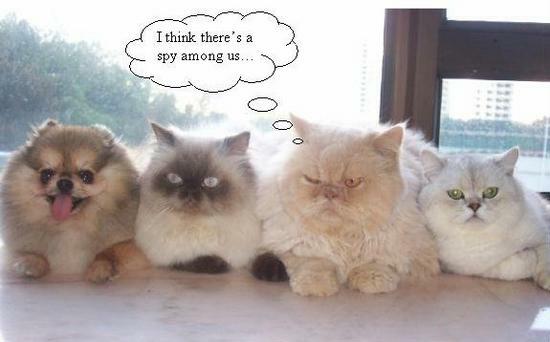 Most like to use their smarts for evil, instead of good though, like controlling their owners! They are alert and can be protective of their owners and homes, using their high pitched bark as a warning. They are very friendly and like to be the center of attention but need proper training from a young age to make sure they don’t become aggressive or dominant. They need daily brushing to keep their thick coats from getting knotted and a trip to the groomer every couple months for a bath and trim of the longer, outer coat. 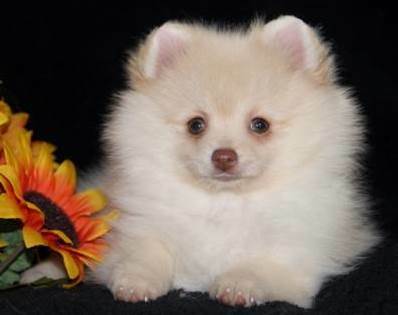 Poms have a life expectancy of 12-16 years. There are a few breed-specific health concerns common to Poms. Many dogs of this breed will have knee caps that slip in and out of their groove (luxating patellas). The severity could range from a slight hop in the dog’s gait every now and then and just be an annoyance to the dog, or cause a persistent limp and require surgical intervention to fix it. Common to all small breed dogs, oral hygiene and health is a concern – their teeth can build up tartar quite quickly without continual dental care and it can get to the point where they can lose teeth or need extractions to get rid of diseased teeth quite quickly. We’d like to introduce you to Lacey. She is a 10 month old female, spayed, sable Pomeranian. Lacey and her mom thought they’d give you a little taste of what it’s like living with a Pom. Trivia (answer): Adult cats have 30 teeth and adult dogs have 42! Puppies have 28 baby (deciduous) teeth that start to fall out around 4 months old and are usually fully replaced with their adult set by the time they are 6/7 months old. Kittens start out with 26 deciduous teeth. TRUE or FALSE: All kittens are born with blue eyes.